A comic book fan growing up in Brooklyn, Bill Mantlo matriculated at Manhattan’s High School of Art & Design and Cooper Union School of Art before coming to work at Marvel Comics as a production assistant. He wouldn’t remain at this position for long, climbing through the ranks as a letterer and colorist before submitting a fill-in script plotted by Tony Isabella for Deadly Hands of Kung-Fu that earned him a permanent gig as the book’s scribe (joined with artist George Pérez, the pair created the first hero of Puerto Rican descent in White Tiger and Mantlo teamed with Keith Giffen to create the heroic Jack of Hearts for the title). When the publisher became swamped with delays on various books, it was decided by then editor-in-chief Marv Wolfman to begin having standalone issues prepared to fill in gaps when needed. This advent largely opened the door for Mantlo who became in large part the go-to guy for fill-in issues, in time doing at least a story for nearly every title Marvel produced. 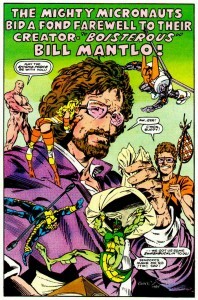 One of the elements that made Mantlo so effective was an encyclopedic knowledge of Marvel, which made him optimal for team-up titles like Marvel Team-Up (featuring Spider-Man) and Marvel Two-in-One (featuring the Thing), which he became the ongoing writer for (it also helped that Mantlo was also fast, able to dream up a story and turn in a rough script within a day when necessary). It was through Marvel Team-Up that Mantlo and artist Sal Buscema started a frequent partnership at the comic company. 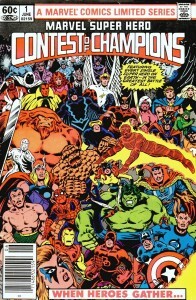 Mantlo’s abilities would open the door to the Champions, a team book that was something best described as not quite the Avengers, X-Men, or Defenders but drew from these books to become its own entity (generally featuring Black Widow, Hercules, Ghost Rider, Iceman, and the Angel, among others). Playing fourth string, the book needed someone like Mantlo who was knowledgeable enough to play with toys essentially others wouldn’t miss but still turn in a story people would want to read (the final issue seeing a somewhat cobbled together Brotherhood of Evil Mutants offshoot and the Sentinels). During this run, Mantlo co-created the super-villain Swarm with John Byrne that became an ongoing enemy of Spider-Man. However, these works led to much bigger things. 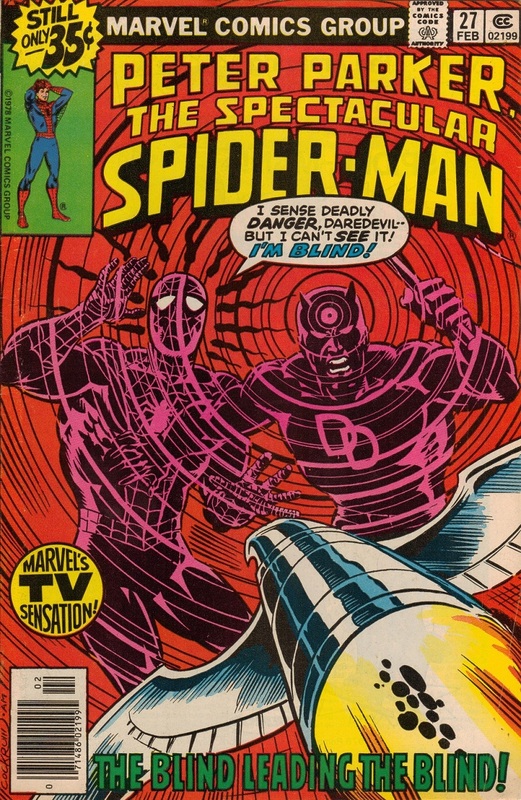 Mantlo would pen his co-creation White Tiger as he teamed with Spider-Man in the pages of Peter Parker, the Spectacular Spider-Man, an auxiliary book to the Amazing Spider-Man created to capitalize on the character’s success. This arc was the first in a run Mantlo wrote nearly uninterrupted for almost three years which included the Legion of Light (which introduced Mantlo co-creation Razorback), Coda to the Champions, the Clone Saga (featuring a collaboration with Frank Miller and introduced Mantlo co-creation Carrion), the introduction of the Lizard-derived Iguana, the introduction of teenaged heroes Cloak & Dagger, and the Misfits & the Doctor Octopus Kid (which introduced Ollie Osnick who went on to became the Steel Spider). Around the time Mantlo worked on Spectacular, he also had a fairly lengthy run on Iron Man (almost two years) which included the introduction of Dreadknight, a sort of amalgamation of the Black Knight and Doctor Doom, drawn by the legendary George Tuska. Mantlo began work on a new series towards the end of his Spectacular run that has largely become the work he is most recognized for. Japanese toy company Takara wanted to break into the American toy market, one of its earliest attempts licensing their Microman toyline to the Mego Corporation (who produced toys for DC, Marvel, Star Trek, Planet of the Apes, and more). 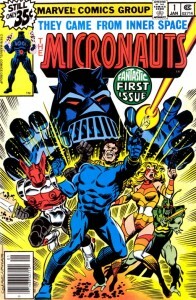 The result was Micronauts, a series of miniature figures, which proved to be a commercial success. One Christmas, Bill Mantlo’s son Adam received a set of Micronauts which piqued Bill’s interest, leading him to seek out then editor-in-chief at Marvel Jim Shooter to pursue a license for the toyline, one that Bill would script. Takara would go on to develop a license with Hasbro to produce their Microman and Diaclone toys in America as the Transformers, an idea fleshed out by Marvel Comics (after the comic company worked with Hasbro similarly revitalizing their G.I. Joe line). Mantlo would co-write the first two issues of Marvel’s ongoing Transformers comic book series. 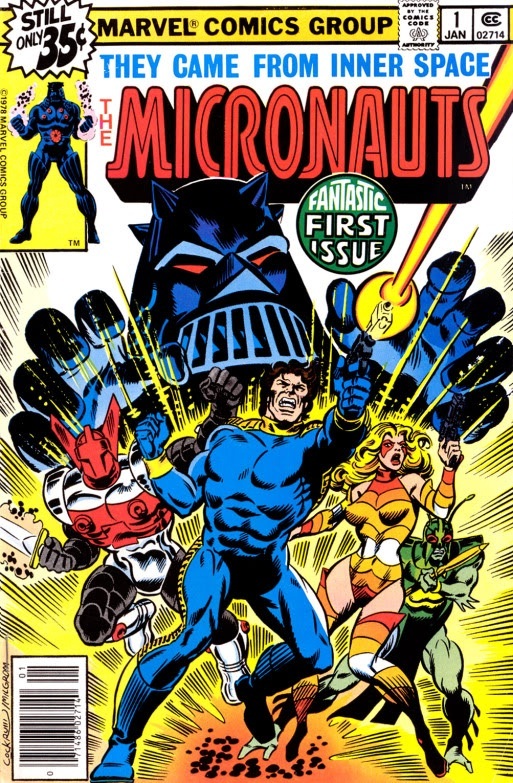 The Micronauts series created by Mantlo, generally accompanied by artist Michael Golden, featured a band of rebels in the Microverse led by Commander Rann (based on the action figure Space Glider) and Marionette, who are along with Argon (based on Force Commander) the last surviving members of the royal family of Homeworld, as they evade and try to topple Baron Karza (based on the toy of the same name that bears a strong resemblance to Darth Vader, despite perhaps predating the character), chief scientist and Commander Rann’s mentor that merged with a powerful suit of armor and murdered his planet’s rulers. While the premise is not unlike Star Wars (which Marvel produced the first comic adaptation for), a work itself largely influenced by the Hidden Fortress and Buck Rogers, the series took off with readers outlasting the toyline by several years. The series also introduced original characters Bug (who has gone on to be featured in the modern Guardians of the Galaxy) and Captain Universe (which has sprung up repeatedly in the Marvel Universe, most recently in Annihilation: Conquest and Spider-Man: The Gauntlet) and saw the group team with the X-Men in the mini-series X-Men and the Micronauts. By the end of Mantlo’s first year writing Micronauts, he would take on another licensed character to similar critical acclaim. Parker Brothers had developed its first action figure, a deluxe light-up robot it named Rom that was produced as cheaply as possible which the company hoped could be made up by the fact it was an early figure in the burgeoning electronic toy market. 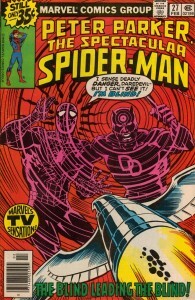 In order to help develop interest in the toy, Parker Brothers approached Marvel Comics about a comic book adaptation. The assignment was then handed over to Mantlo who of course had quite a bit of success with his ongoing Micronauts series. 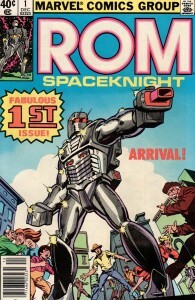 Re-branded Rom: Spaceknight and its first issue plotted by Jim Shooter, Mantlo developed an entire mythology for the character (having even more freedom to work on the project than Micronauts because Parker Brothers offered very little towards the back story of its product), essentially taking the basic appearance and accessories of the toy and turning it into an expansive story that spanned the universe. Galador, a remarkable planet in the Golden Galaxy had achieved a world without war, disease, or famine, whose people live an idyllic life thanks to the scientific marvels its people designed. However, everything changed when inhabitants of Wraithworld in the Dark Nebula invaded Galador. The world’s leader and scientific genius dubbed the Prime Director devised a way to transplant the soul of a person into a cyborg body of great power in order to stand up to the vast forces of the Dire Wraiths, who were shape-shifters that employed magic and great scientific prowess. Dubbed the Spaceknights, valiant Galadorian Rom volunteered to be the first test subject and in turn was granted his people’s greatest weapon: the Neutralizer. Capable of neutralizing energy in various ways (examples being almost curing the Hulk and taking away a mutant’s powers), it could hurl Dire Wraiths into Limbo. The Spaceknights war on the invaders was savage, pushing them out of Galador, evicting them from Wraithworld, and followed whatever remnants of these beings could be found left in the universe until finally the last remaining Wraiths established a last stand on Earth. 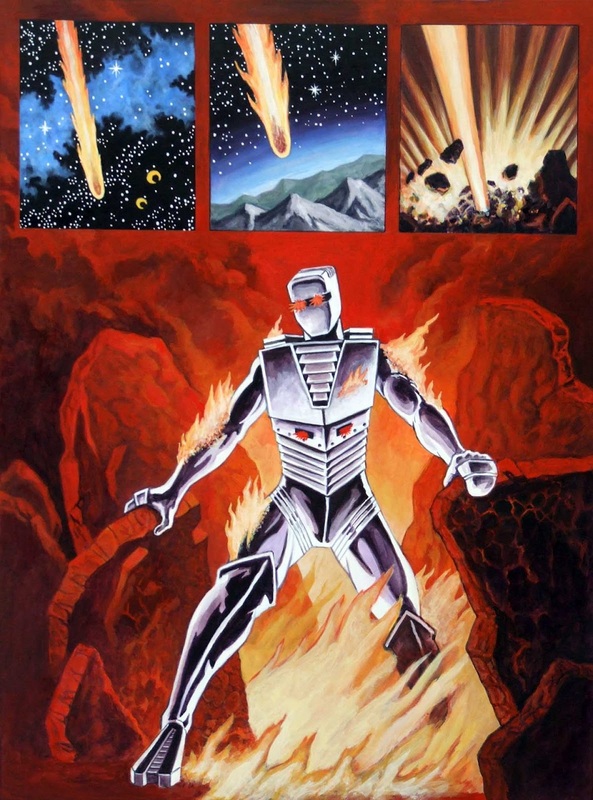 While other Spaceknights remained on Galador, what was left of the force that followed the Wraiths dwindled until Rom stood alone as he arrived at Earth where his enemy intermingled with its people, taking on positions of power and prestige (helping their cause when it appeared to most a robot was vaporizing people without reason). 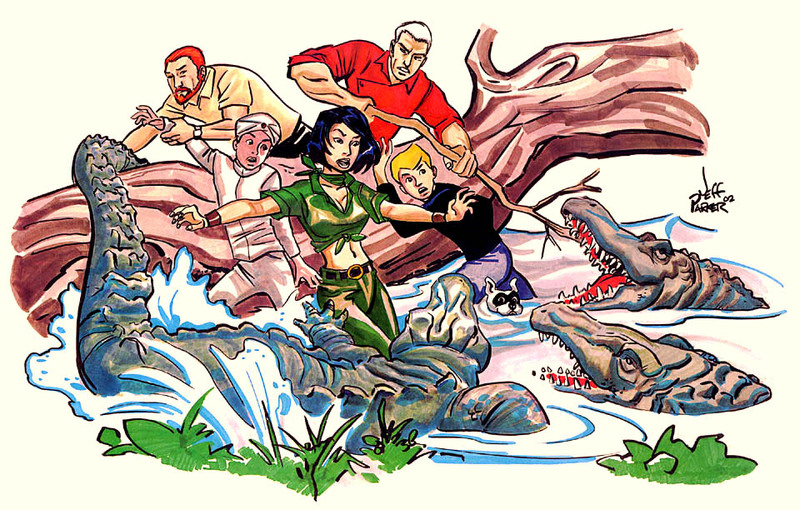 On Earth, Rom landed in West Virginia where he befriended Brandy Clark and her boyfriend Steve Jackson (which would evolve into a love triangle as Rom and Brandy developed feelings for each other) and later Rom was joined by Torpedo (a legacy character who wore a battlesuit used by a Daredevil villain of the same name) and professional sidekick Rick Jones (having partnered with the Hulk, Captain America, and Captain Marvel previously). Rom’s adventures took him all over the Earth and across the stars, crossing paths with virtually every Marvel hero including a number of those close to Bill Mantlo’s heart like Jack of Hearts, Shang-Chi, Heroes for Hire, X-Men, Alpha Flight, Soviet Super-Soldiers, and the Hulk. And while Rom rooted out the Dire Wraiths, he would battle the likes of Galactus, Terrax, Brotherhood of Evil Mutants, Skrull empire, and Deathbird and the Shi’ar Imperial Guard. 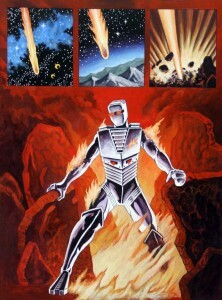 Rom’s nemesis was a human/Wraith offspring named Hybrid who often sought female mutants as they provided breeding stock for him to procreate (Hybrid would outlast Rom as the hero was a licensed character and Hybrid belonged to Marvel, similarly as Marvel owned the rights to the Dire Wraiths and Spaceknights concept). Eventually, Rom would rally every hero on Earth into a massive force and finally eliminate the Dire Wraith presence in the universe. The triumphant hero would return to Galador with Brandy, finally able to revert back into an organic being, where they lived happily ever after. Considering the success of Micronauts and Rom, Mantlo developed a new title as the king of licensed properties and worked on adaptations of Human Fly, John Carter: Warlord of Mars, Tarzan, Man from Atlantis, Battlestar Galactica, Questprobe, Buckaroo Banzai, Last Starfighter, Sectaurs, Red Sonja, and Savage Sword of Conan. Despite the great praise for Micronauts and Rom: Spaceknight, arguably Mantlo’s most critically-acclaimed and long lasting work was to follow. 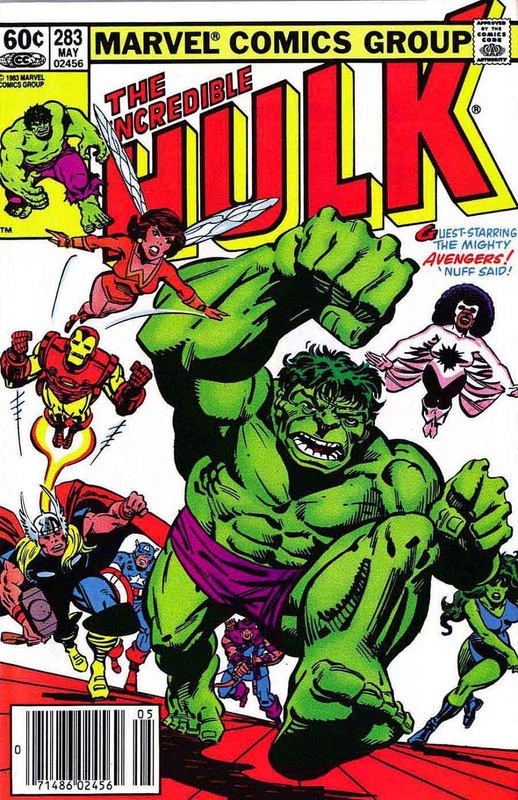 Generally joined by Sal Buscema (and later Mike Mignola), Bill Mantlo had a five-year uninterrupted run on the Incredible Hulk. Writing for the Hulk presents challenging problems when you consider his story is essentially that of Dr. Jekyll and Mr. Hyde albeit where in his monstrous form, the Hulk is a simple-minded brute oft to trade punches with enemies of a similar brutish size (consider, most of his opponents were gamma-irradiated hulks themselves, other times he fought the other muscle-bound villains of Marvel like Absorbing Man, Rhino, and Juggernaut). It would’ve been easy of Mantlo to simply follow this trend, but he did some rather unique things with the character. Right off the bat, Mantlo returns to something largely forgotten but important to the character. 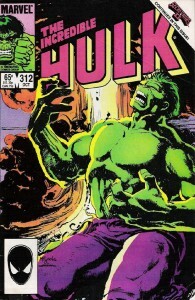 In a story by Harlan Ellison called Hulk: Heart of the Atom, the Hulk is taken to an alien world where in short order he becomes its champion and where he falls in love with its ruler, a queen named Jarella that accepts him for who he is and marries him (this story would inspire other stories like Sword of the Atom and Planet Hulk). Tragically, she dies and in Mantlo’s first arc, the Hulk retrieves her body to return it to her homeworld. However, shortly afterward, Mantlo did something rather innovative: he put Banner in charge of the Hulk. But, more importantly, instead of it meaning a Hulk that could actually use strategy and think, it dealt with many issues such as what point does Bruce Banner in his base form offer when he can instead be the Hulk or the addiction that comes with having the kind of power the Hulk does and the ability to grasp this idea or the pain of fully understanding the fear the world has of you when you look like a monster (and the loneliness that brings) or that, as a scientist, Banner is ill-equipped to use the Hulk’s savage power to its full potential (in other words, having a meek personality while being the strongest being on Earth). Mantlo then goes into the completely opposite direction when the Hulk becomes completely mindless, a savage beast of limitless strength with a thirst for violence. 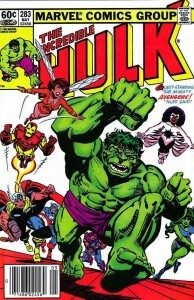 During this arc, the Hulk battles seemingly every hero on Earth before Dr. Strange exiles him from the planet to the Crossroads (a dimension of interconnecting dimensions, essentially a private purgatory). Perhaps Mantlo’s greatest contribution to the Hulk mythos was answering why Hulk and Bruce Banner are the way they are. Taking a step back from just saying Bruce Banner becomes angry and turns into the Hulk, we examine something interesting. Banner is an introvert, a man with virtually no physical presence, lacking any outlet for emotions like rage or passion, and who seemingly is most comfortable being invisible; his only redeeming quality is that he’s a genius. After the explosion that changed Banner’s life, he turns into the Hulk, essentially a stark opposite of everything he is: powerful, expressive, and dim-witted. Mantlo peeled this apart by introducing us to Brian Banner, a drunken, abusive father who regularly beat his wife and son Bruce. Having been in an accident where he was blasted with nuclear energy, Brian feared he was changed at a molecular level and when his son, one he never wanted, was born and displayed enhanced intelligence, Brian saw him as a little monster born from that accident that lost him his job. Brian channeled every ounce of his hatred into Bruce, making the child so afraid of doing anything to give his father a reason to snap, he did nothing, believed he was nothing. Bruce became weak, useless, and stoic because it was what his father demanded in pain. Eventually, Bruce’s mother tried to run away with him only for his father to discover and murder her before Bruce’s eyes. Despite losing the only person he ever loved to that point, Bruce was too afraid to even identify his father as her killer (later, Brian would drunkenly admit to the crime and be put away). After years of pushing his emotions down, burying them deep inside himself, the gamma bomb explosion unlocked the monster within him, giving birth to the Hulk. Writers like Peter David and Greg Pak would pick up these stories and expand upon them in their work (as well as Ang Lee’s 2003 film Hulk). It should also be noted that while much of Mantlo’s run examined the psyche of the Hulk, he did also contribute to the action elements of the character such as co-creating the U-Foes, a villainous analogy to the Fantastic Four that became a frequent threat to the Hulk (Mantlo also created the Soviet Super-Soldiers, Jewish heroine Sabra, and Latin heroine Firebird during this run). Mantlo’s Hulk run came to an end when he exchanged the title with John Byrne for Alpha Flight (though, Byrne only lasted for seven issues on Hulk as Mantlo did forty consecutive issues of Alpha Flight). Sal Buscema, who worked with Mantlo on Rom: Spaceknight and Incredible Hulk, would finally split their ongoing partnership citing the duo butting heads more often than not. Bill Mantlo worked on various projects while he juggled Micronauts, Rom: Spaceknight, and Incredible Hulk. He expanded on his original characters Jack of Hearts and Cloak & Dagger in separate mini-series, penned a mini-series for Vision and the Scarlet Witch (as the pair settle into their lives together as a couple), worked on the book Team America, but, most notable, was co-writer on Marvel Super Hero Contest of Champions. A unique mini-series, cosmic entities Grandmaster and Death organize a game pitting Earth’s heroes against each other. Conceived by Mark Gruenwald to tie in with the Olympics, Gruenwald, Steven Grant, and Mantlo wrote the limited series which featured virtually every Marvel super hero from Earth in the initial issue. 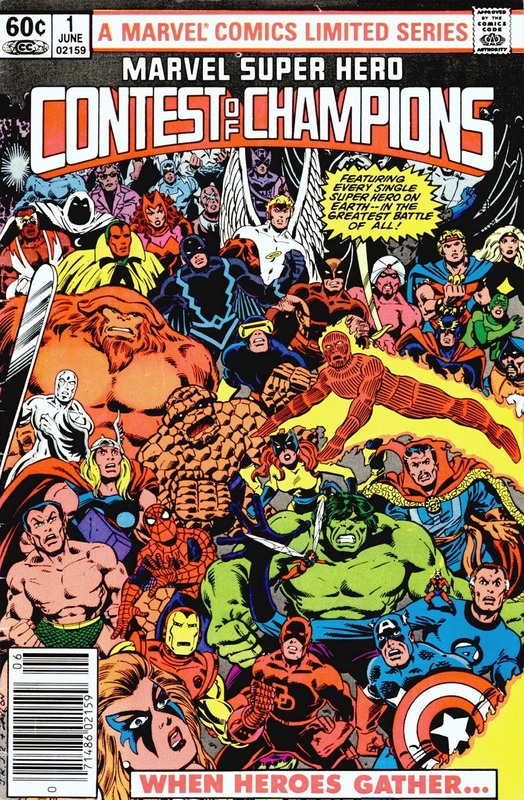 This concept of bringing together essentially every superhero in a limited series was ahead of its time, pre-dating both Crisis on Infinite Earths and Secret Wars. The cast was largely made up of familiar heroes paired with international heroes created for the series (including Shamrock and Collective Man). Towards the end of Mantlo’s time at Marvel while he worked on Alpha Flight, he wrote a mini-series for the Rawhide Kid and co-created with Jackson Guice a creator-owned Science-Fiction pirate series for Epic Comics called Swords of the Swashbucklers. Mantlo also worked on a mini-series for a character he created a decade earlier with Keith Giffen and had pop-up during his Hulk run that, today, maybe Mantlo’s biggest hit. 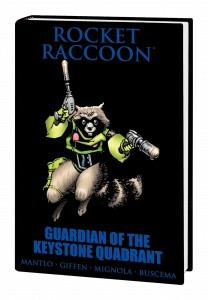 Rocket Raccoon, who was conceived in part from a Beatles song, came to be as a back-up in Marvel Preview and re-appeared infrequently in the pages of Incredible Hulk, a self-titled mini-series, and She-Hulk (predating other similar anthropomorphic characters like Bucky O’Hare, Green Lantern Ch’p, and Star Fox). 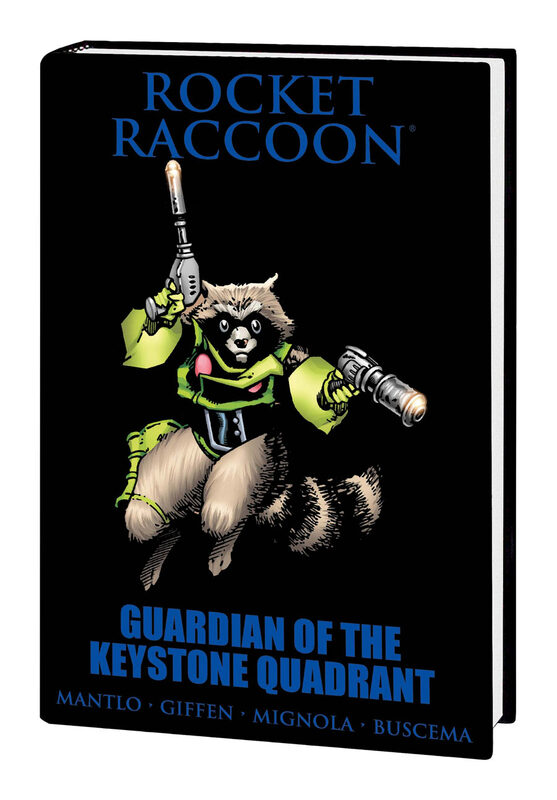 Raccoon gained new life today appearing in titles like Annihilation: Conquest, Guardians of the Galaxy, and Annihilators. These appearances caught on with fans leading to the character being immortalized in the video game Ultimate Marvel vs. Capcom 3 (pitting characters from Marvel against video game developer Capcom’s various franchises). And his fame only shows signs of growing as he recently appeared with his fellow Guardians in the animated series Avengers: Earth’s Mightiest Heroes and is set to star in a live action adaptation of the Guardians of the Galaxy scheduled for release in theaters August 1, 2014. Mantlo would eventually be forced to part ways with Marvel as he was a vocal advocate for creator rights, believing that if someone makes something, they should have a hand in its continued success (an idea still fought over today). Unsuccessfully trying to form a union, editor-in-chief Jim Shooter largely blacklisted Mantlo and, despite Shooter being let go, the writer was all but forgotten at the company. Studying to be a lawyer during his final years at Marvel, Mantlo left to become a public defender, believing that those that can’t defend themselves deserve a voice to fight for them. However, he couldn’t quite leave behind his life as a writer. So, after a few years out of the industry, Mantlo returned with his good friend Keith Giffen to help pen an event series for DC Comics called Invasion! Featuring an alien alliance seeking to stomp out the Earth before its residents become too powerful a force in the universe, Mantlo and Giffen teamed with Todd McFarlane and Bart Sears to create the title which generated a spin-off in L.E.G.I.O.N. The series is in part being adapted for the animated series Young Justice: Invasion. Sadly, this would be Mantlo’s final work. While rollerblading to work, Bill Mantlo was struck by a hit-and-run driver that to this day hasn’t been caught. Receiving severe head trauma, Mantlo suffers from brain damage he’s unlikely to ever recover from. Cared for by his brother Michael, Bill needs round the clock care in a medical facility his family can’t afford. Bill managed to get by for a time through medical insurance, but his insurer eventually felt he had reached the limit of what they were willing to pay and abandoned him despite for a while he demonstrated improvement. 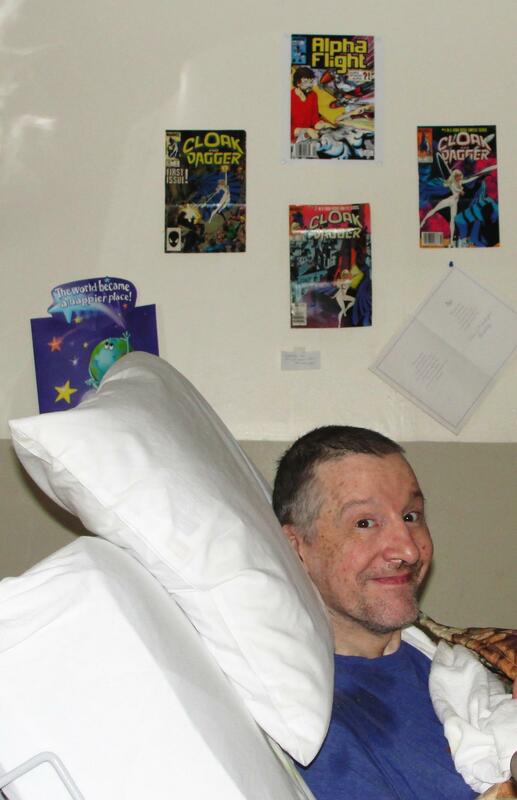 People in the industry have time and again tried to help Bill with varying success, including a benefit book in Mantlo: A Life in Comics being produced where proceeds go to Bill’s care and art shows such as Spacenight: A Tribute to Bill Mantlo and Spacenite2 with money raised helping alleviate medical costs.